Celebrating 120 years of Renault, the digital magazine explores the French brand’s past, present and future. Discover Renault’s range of fleet-focused cars and vans, as well as the company’s 12 tips for a fitter fleet, remote account management and decoding WLTP. 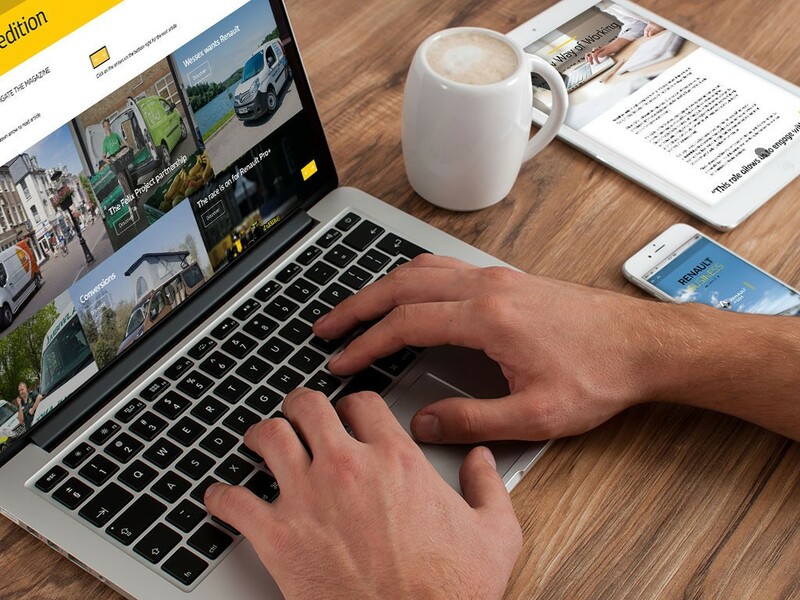 With a strong selection of business-ready vans, Renault Pro+ delves into case studies including The Felix Project and new ambulances for Wales, as well as specialised conversions to adapt the range for any challenge. Furthermore, Renault Pro+ has launched a new website, drivemybusiness.co.uk, for entrepreneurs, start-ups and SMEs, offering advice on all aspects of running a company. Nick Tame, director of sales for Groupe Renault UK, said: “There is a lot of uncertainty around the fleet market at the moment. However, here at Renault, we are confident we offer complete clarity to any business running cars, vans or both. We also recognise that fleets are increasingly looking at new powertrains, and in this context, Renault can claim to be an international electric power with the ZOE, Master Z.E. and Kangoo Z.E. 33.